Cracked iPad Screen Repair: What are your options? Dropped your iPad and cracked the screen? 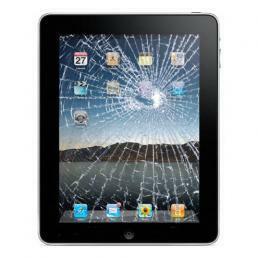 How can you get your cracked iPad screen repaired? First of all, don’t worry, you’re not alone! This is a very common accident. It’s not the end of the world and it can be repaired. Is this a good option? Not necessarily. Apple is famous for voiding warranties when the product is dropped, or has suffered any other kind of user created damage. Even if you bought the Apple Care warranty, they may not honor it. You’ll have to buy a new one, or try their trade-in program for a refurbished unit. But what about your e-mail, contacts, calendars, music and photos? If you go this route, you’ll lose all your data, unless you’ve backed it up on the cloud, iTunes, or your PC. 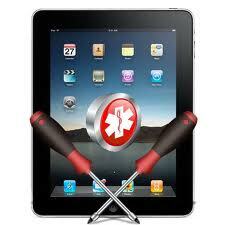 There are online repair centers that can repair your iPad, as well as local shops that can do it, but be careful. iPads are very delicate and require experience and precision. Not just anyone can perform these repairs. Make sure the repair shop is experienced, insured, and has a good warranty policy. Beware of companies touting very cheap prices, as you’ll be in for a nasty surprise once they have it. Bait and switch techniques are rampant in this field. We’ve had people tell us they found a place that will do it for as little as $49. That’s ridiculous and impossible! The industry average for an iPad screen repair is around $200. Have you heard about replacing the “Digitizer” vs. the “LCD”? What’s the difference? The iPad’s front assembly is made up of a frame, an LCD screen, and a digitizer. The LCD screen is the actual display, just like any other monitor. The digitizer is the glass on top of the LCD screen. It is the part that reads the touch gestures on the screen. Without the digitizer, touching the screen would not do anything. Without the LCD screen, you wouldn’t be able to see anything! How do you know which repair service or part you need? If your iPad’s digitizer glass is cracked or broken, you’ll still be able to see the screen through the cracks on the outer glass. You might even still be able to use the iPad and its touch functionality. There are some cases where the touch functionality will cease to work, even if the glass isn’t cracked. If you can still see the screen clearly, the digitizer is defective and needs to be replaced. If the LCD screen is broken, the display would be completely blank, very dim, or parts of the screen will not show anything or be distorted. You may also see black streaks or patches where the liquid crystals are leaking. So to summarize, if just the outer glass is broken, you need a digitizer repair. If the outer glass is not broken but the display is not working correctly, you most likely need an LCD screen repair. The most common case is a digitizer repair, as it takes the brunt of the shock and actually shields the LCD screen. By the way, all this is true for other brands of tablets, as well as smart phones. If you have any iPad or iPhone Repair needs, please give us a call or email us from our website’s “Contact” page.